I’ve gotten more than a few friends to jump on the Asian skincare routine train with me, and the most common feedback I hear is that people are overwhelmed by the number of products and how to order them within a routine. So I thought I’d start the year with a series of posts about how to put together your own Asian skincare routine, and hopefully this will take some of the mystery out of it! I think of the Asian skincare routine as more of a philosophy and framework for structuring your skincare routine, rather than being bound entirely to Korean products or Japanese products, etc… You can absolutely use Western products or whatever you have available at your local beauty store within the framework of an Asian routine. Generally, what I think distinguishes an Asian skincare routine is its emphasis on light, hydrating layers. The reason there are typically so many products within an Asian routine is that each product has a specific function in addition to providing another layer of hydration. This stands in contrast to Western routines which have historically focused on one or two multitasking creams. In this post I’m going to focus on a basic skincare routine. So forget about stuff like acids, retinol, masks, and other special treatments. This will be an overview of the basic framework of your routine. After you get that down, you can plug in other steps like exfoliating, masking, etc…. A general rule of thumb when it comes to an Asian skincare routine is to go from thinnest to thickest. This means that you’ll start with the most watery product (often a watery “first essence”, toner, or softener) and gradually add products that are thicker and richer, ending with creams. Also, please note that when I refer to “Western” vs “Asian” skincare, these are merely useful words to think about two different approaches to skincare. I realize that these labels are generalizations, and they are not intended to have any positive or negative connotations about “Western” or “Asian” culture. I know that some people learn better when they can visualize things in a table, so I made this very low-tech graphic to help you see the structure of the Asian skincare routine. Double Cleanse: As you can see in my post The 3 Best Things I’ve Done for My Skin, double cleansing is one of the most essential steps in an Asian or Korean Skincare Routine. It drastically cut down on clogged pores and resulting breakouts. This step is exactly what it seems. Removing makeup and debris with a “first cleanser”, which is often an oil or balm cleanser but can also be a micellar water, gel, or cream cleanser. Then, using a gentle (usually foaming) “second cleanser” to remove any residue from the first cleanser and any remaining impurities. Note: Double cleanse only in the evenings. In the mornings you don’t have much dirt on your skin, so a gentle single cleanser is enough. Hydrate (or Tone): The toning step in an Asian skincare routine differs from the toning step in Western routines because the toner is your first hydrating step rather than your last cleansing step. Whereas Western toners tend to be cleansing and astringent, Asian cleansers tend to be hydrating and moisturizing. Toners have various names in the Asian beauty world, which may range from “softeners”, “first essences”, and “skin” (Korean) to “lotion” (Japanese). Some Asian toners are more watery, and others are thicker and closer to a serum consistency. Again, a good rule of thumb is to go from thin to thick. Treat (or Serum): In the Western beauty world we have historically liked multitasking and all-in-one products. But the Asian beauty routine takes the time to use multiple products to treat multiple concerns. The Treat step incorporates products with a serum consistency, which are slightly thicker than toners but not occlusive (moisture-sealing) like creams. These products, which can be called ampoules, essences, serums, and “complexes”, can treat skin concerns such as hyperpigmentation, dehydration, fine lines, sensitivity, acne, and rosacea. Because serums tend to do one or two things well, you can layer them on top of each other and thus mix-and-match products to suit your needs. This also adds an additional hydrating step. Seal (or Cream): This step is pretty straightforward. You’ve spent several steps drenching your skin with moisture, so you need to prevent that moisture from evaporating by sealing it in with a cream (and possibly an eye cream). This step may also include emulsions, which are light lotions that are both hydrating and sealing (and are thus kind of an intermediate step between serums and creams). These can provide additional moisture, or may be enough for those with oily skin. Creams can be used on their own or layered on top of emulsions. Usually creams in an Asian beauty routine do not include SPF. SPF products are their own category with the understanding that you will be reapplying them throughout the day. You may have heard that the Asian skincare routine is famously made up of 10 or more steps, but as you can see, these steps all fall into a few basic categories. So you can actually think of the routine as actually made up of 4 basic steps, but an indefinite number of products can fit into this framework (really, who’s counting at this point?). Within each category, you can use several products, but in general go with the rule of thumb, thinnest to thickest. To put the above framework into a practical context, let’s take a look at a typical night skincare routine. I often have a few more serum steps than this, but in the interest of simplicity, I’m keeping this routine quite minimal. 1. Remove makeup with DHC Deep Cleansing Oil* . On nights when I wore only sunscreen and no makeup, I might only cleanse with Atrue Sweet Song Black Tea Cleansing Water. 2. Use a gentle foaming cleanser for my second cleanse. I like the Hada Labo Tokyo Gentle Hydrating Cleanser *, it’s one of my long-term favorite cleansers. 3. Then I typically use a hydrating toner like the Skin Watchers Ceramizing Essence Toner (which is a cheaper version of the Dr. Jart Ceramidin Liquid *). 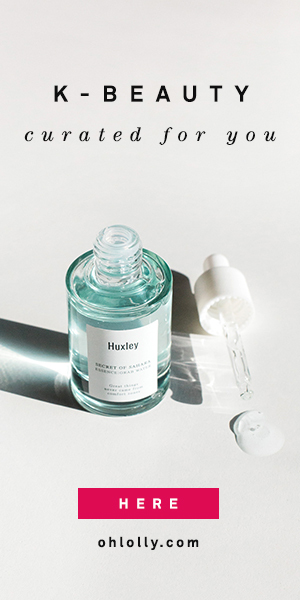 Often I’ll use a more watery toner before this step to boost hydration even more, but when I need to have a pared-down routine, this one toning/hydrating step is enough. 4. Recently I’ve been using a Vitamin C Serum (this is a form of vitamin C called SAP, or sodium ascorbyl phosphate, that is not acidic and is less irritating to the skin than the acidic form of vitamin C) that helps to brighten my skin and boost collagen production. 5. I also boost my skin’s hydration levels with a hyaluronic acid hydrating serum, which binds water to the upper layers of my skin. I’m currently using the Elizavecca Hyaluronic acid 97% Serum *, which is cute and works fine, but I’ll be looking for an even more hydrating serum after I’m done with this, because my skin is so dehydrated. 6. I’m enjoying the Ladykin Vampir Dark Repair Cream (review here), a buttery cream that somehow doesn’t feel heavy or greasy, and is carried at a great price at Memebox at $25, down from an MSRP of over $40 (get 20% off your first order by using my referral link!). So you can see that within the basic categories, I have 6 steps in this Asian beauty routine. You can add or subtract products to this routine, but the general structure of the routine is to cleanse, hydrate, treat, and seal in all that moisture. I hope that with a better understanding of the basic Asian skincare routine, you’ll be able to better enjoy the banquet of Korean, Japanese, Taiwanese, and other Asian skincare products that are at your fingertips, paving the way to better skin! Disclosure: Product links marked with an asterisk (*) are affiliate links. I’ll make a small commission off your purchase, but you won’t pay a penny more. All products recommended are products I have used and loved.